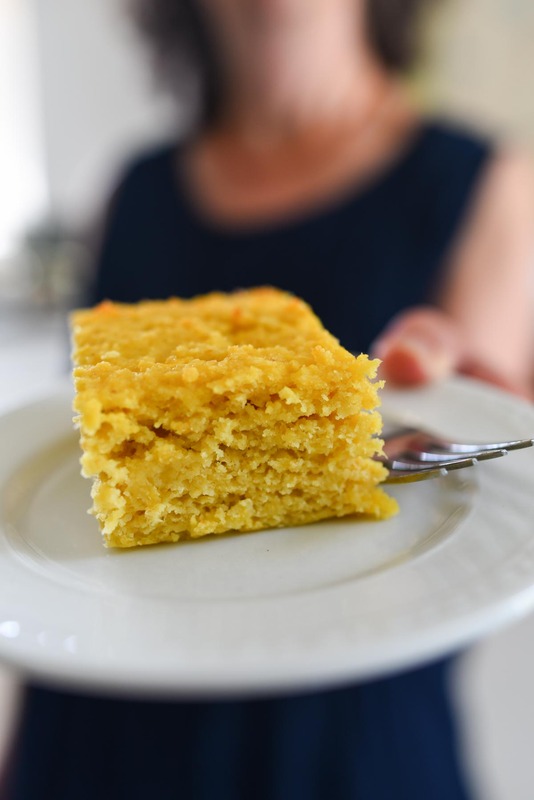 Yellow Squash Snack Cake. 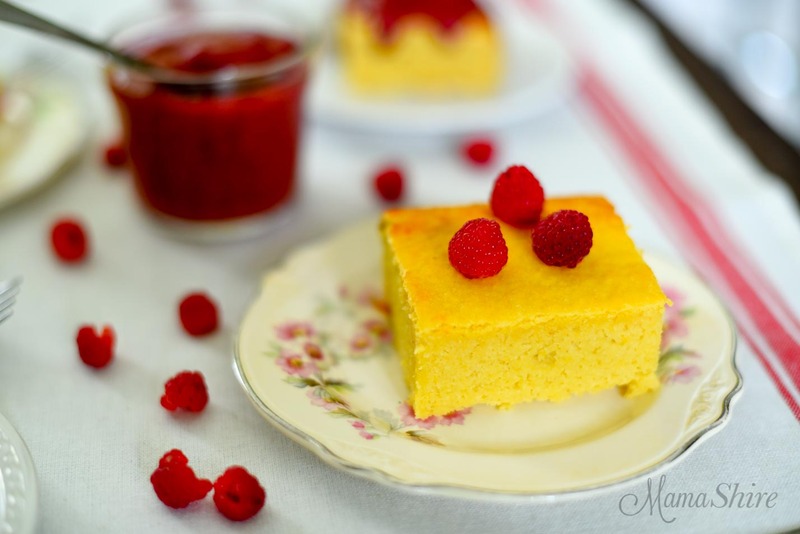 Yellow squash makes this snack cake moist and delicious! Gluten-free, Grain-free option, Dairy-free, Sugar-free, Low-Carb, THM-S. This simple to make snack cake makes me think a lot of a pound cake, but without all the sugar. The yellow squash makes this cake nice and moist and the combination of almond flour and the THM Baking Blend gives it the perfect texture. This cake is delicious even without icing. My favorite way to serve it is plain or with a berry sauce. While summer squash is in season, I like to freeze it in 2 cup portions so that I can easily make baked goods throughout the year using squash. Most of the time we think of using zucchini in cakes, but yellow squash works just as well, especially if you’re wanting a lighter color of cake. It’s simple to freeze summer squash. Peel or leave peeling, the choice is yours. There are more nutrients in the peeling, but if you don’t want the extra yellow or green color you can peel them first. Shred. This is easiest done in a food processor. This food processor is the one that I use. Freeze in 2-cup portions in freezer bags. To use, thaw on counter or place in a bowl of water for a few hours thaw. Drain excess water off before using in recipe. 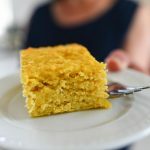 Trim Healthy Mamas this snack cake is an S.
Yellow squash makes this snack cake moist and delicious! Gluten-free, Grain-free option, Dairy-free, Sugar-free, Low-Carb, THM-S.
Preheat oven to 350°. Grease a 9″ or 8″ square baking pan with coconut oil spray. Use a mixer to whisk eggs in a large bowl. Add in almond flour, baking blend, sweetener, baking powder, and salt. Mix thoroughly. Add in squash and mix for 2 minutes until the squash is incorporated throughout the batter. Bake for 45 minutes. Test center with a cake tester or toothpick for doneness. 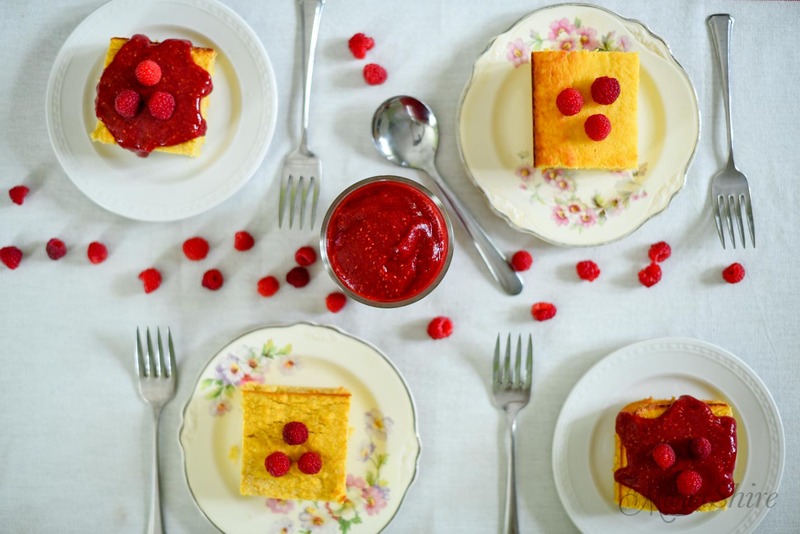 Can be served alone, with berry sauce, or with icing of choice. 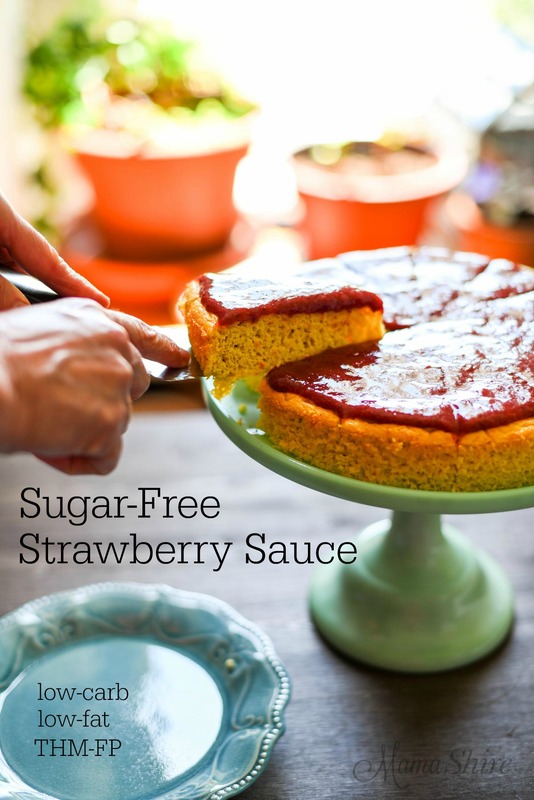 You might also like my Sugar-Free Strawberry Sauce. In the recipe you say 1/2 Himalayan Salt. I’m assuming that is 1/2 teaspoon? Hi Ronda, yes, that would be correct. 🙂 I’ll go in an fix that. This was sooo moist and delicious! I topped with the ingredients from the Strawberry Ricotta parfait (THM cookbook, p 378). I substituted 1/2 of the almond flour with Masa. Used one generous donk of stevia instead of the sweetners. May need more liquid. Made delicious corn bread. Hi: I love your yellow squash cake but I goofed the second time. I didn’t have enough almond flour so I put in one cup almond and one cup coconut, totally forgetting that coconut flour absorbs all the liquid. I ended up adding fat free greek yogurt and a dash of vanilla. What a happy accident. Love the taste of the coconut and although no longer dairy free, this makes an awesome breakfast with a bit of yogurt and berries in the morning. Freezes really well too.